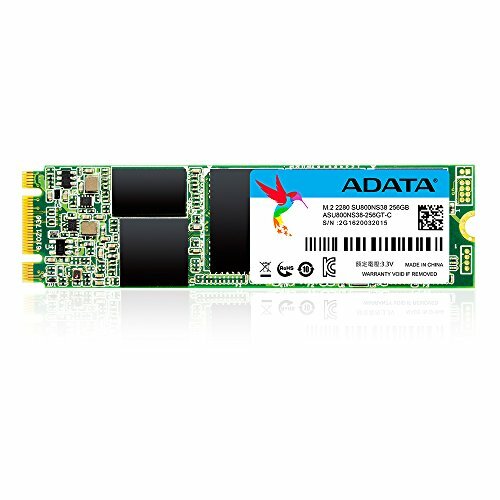 Utilizing 3D NAND Flash and a high speed SMI controller, the compact Ultimate SU800 M.2 2280 solid state drive provides capacities up to 1TB and greatly enhances performance, efficiency, and reliability over traditional 2D NAND. It also comes with intelligent SLC Caching and a DRAM Cache to boost read/write performance. Featuring LDPC ECC, high TBW (total bytes written), and DEVSLP (Device Sleep), the SU800 M.2 2280 instantly upgrades notebook and desktop PCs with superior stability, durability, and power efficiency.